The Pro Kick bass drum beaters set the benchmark for craftsmanship, durability and quality of sound. 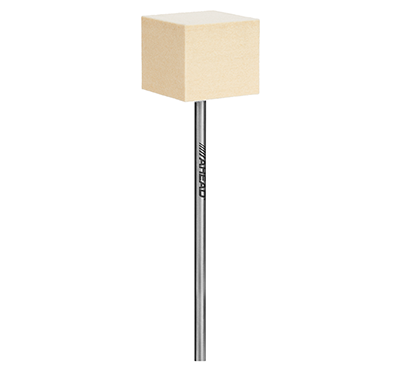 The Cube Felt beater features a high density, square felt bass drum beater head that creates a heavier felt sound with maximum surface head contact. HEAD DIMENSIONS: Diameter: 1.75", Length: 1.50"